What's that Building on our Logo? We are proud to be housed on the campus of our founding sponsor, William & Mary in Williamsburg, Virginia. 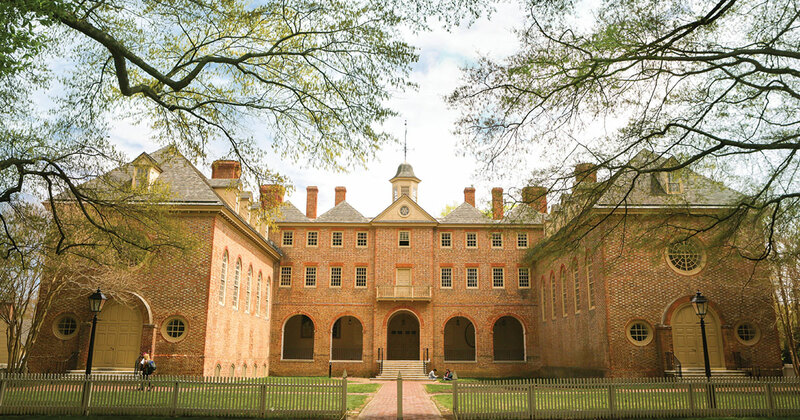 Founded in 1693, W&M is the second oldest college in the nation. Its campus houses the oldest college building still standing in the United States, the Wren building. Known as the “soul of the College,” the building was constructed between 1695 and 1700, before Williamsburg was founded, when the capital of the colony of Virginia was still located at Jamestown. A rendition of the building’s cupola and dormers graces our logo in homage to our sponsor.